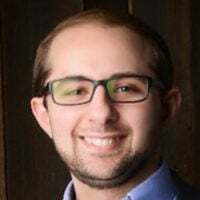 Justin Haskins is executive editor and a research fellow at The Heartland Institute and editor-in-chief of StoppingSocialism.com. 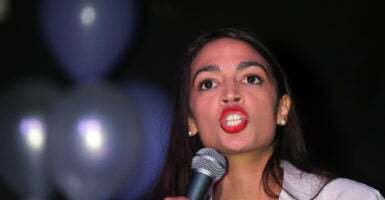 Democrat Alexandria Ocasio-Cortez, who will represent a New York district in Congress come January, has once again shown herself impervious to facts when it comes to single-payer health care. On Sunday, Ocasio-Cortez engaged in a brief Twitter sparring match with Jim Hanson, the president of the Security Studies Group. The exchange began after Hanson commented that under government-managed health care, “Democrat Socialist overlords” would decide “who will live and who will die,” adding “#DeathPanels rock” at the end of his message. Ocasio-Cortez’s claim that health insurance companies essentially act as “death panels” for choosing to cover certain treatments and not others is a highly erroneous, reckless comment. For starters, health insurance companies are heavily regulated—some of the most heavily regulated companies in the country, in fact—and they are already forced under the Affordable Care Act to cover “essential health” treatments, including emergency services, hospitalization, and some nonemergent treatments, like substance abuse services. It’s simply not true that there are all sorts of serious health problems health insurers don’t cover, which is clearly what Ocasio-Cortez was suggesting in her Twitter post. Second, the “death panels” she described aren’t death panels at all. Death panels are composed of government bureaucrats or policymakers who decide which health care treatments will be covered in a single-payer or government-run health care system. The reason they have been labeled “death panels” is because under many single-payer proposals, the government is the only insurer, which means it has complete power to decide which services will be covered. There are no other options in a single-payer system—either the government will choose to pay for your care, or it won’t. And if it chooses not to, then you’re out of luck—unless, of course, you’re a millionaire like Sanders. Ocasio-Cortez says that because health insurers can choose not to cover certain services, that means they have death panels, too. But that’s totally false. In a true market-based system, if my health insurance company were to refuse to offer me a plan covering all of the services I’m most concerned about, I could simply go to another health insurer who would. If enough people want a particular health service covered, insurers would surely offer it. That’s how markets work. Since Ocasio-Cortez majored in economics, she should understand that basic, universal economic principle. If there is demand for a product or service, someone out there will supply it. Third, in opposition to this argument, Ocasio-Cortez might argue that all the insurance companies could decide to drastically raise the cost of covering important health treatments, acting as a de facto death panel by making health insurance so expensive that people can’t afford to buy good health insurance plans. But if we’re going to apply the term “death panel” in such a way that it can be used to describe anyone that makes health insurance too expensive, then the federal government is already the country’s biggest death panel. No one has done more to raise the cost of health insurance in the past decade than President Barack Obama and the Democrat-led Congress that passed the Affordable Care Act in 2010. Since the Obamacare exchanges first opened in 2013, health insurance premiums have doubled. Even worse, Obamacare deductibles are so high that most people can’t afford to use the health insurance they purchased. HealthPocket reports the average maximum out-of-pocket costs for a family enrolled in an Obamacare bronze plan, the cheapest plan available on the exchanges, is over $14,000. Ocasio-Cortez should know better. Elected leaders who go to Washington with a plan for radical change carry the burden of proving their case to the public—and in that, Ocasio-Cortez has woefully failed.